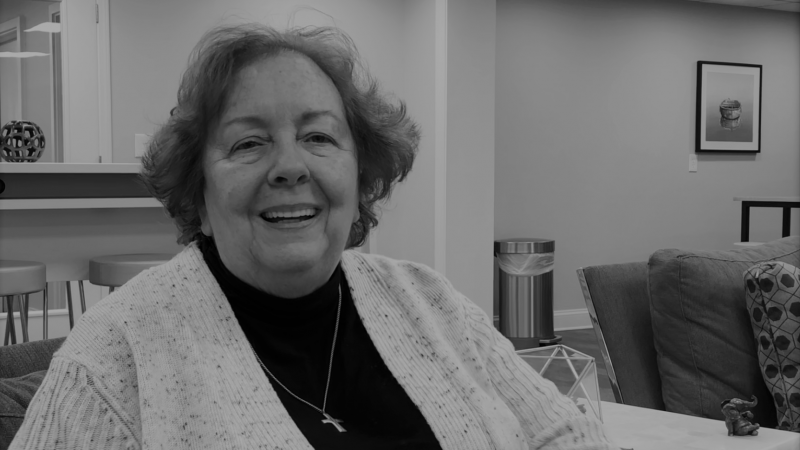 Looking back over 30 years of civil rights work, Sr. Kathleen Ryan, a Sister of Notre Dame, credits her many faith-filled encounters with everyday people in Church parishes, schools, government offices, nonprofits and the Greater Cleveland community as one of the best parts of being a sister. The retired director of the Office of Social Action for the Catholic Charities Diocese of Cleveland and former Sisters of Charity Foundation of Cleveland board member draws many parallels between today’s social justice climate and the “issues of the day” that Catholic Charities began organizing around in 1989, including poverty, educational equality, lead poisoning, employment rights and an increased minimum wage. Sr. Kathleen believes we live in an exciting time, in part because information is more easily shared than it used to be and also “because the gifts that Catholic sisters have always brought to their ministries, such as reflection, prayer, contemplation, action, discernment” are being multiplied through programs like the Sisters of Charity Foundation’s Generative Spirit initiative, designed to cultivate shared learning and relationship-building between Catholic sisters and lay partners.